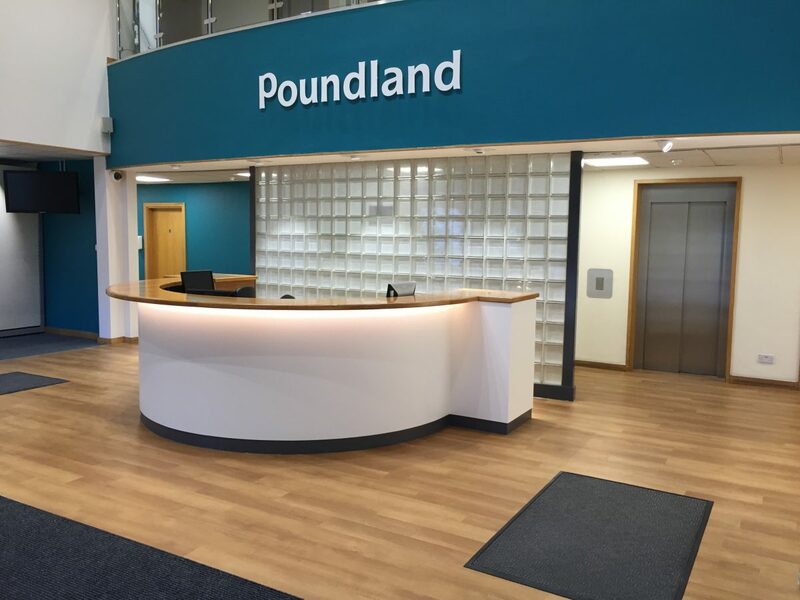 CWP have recently completed the design and fit out of the reception area at Poundland’s head office. We worked together closely with the client and presented a 3D visual showing what the finished design would look like. We fitted new flooring throughout, new entrance mat, re-laminated the counter on site, fitted new LED lights and fitted new lettering. We carried out all work over the weekend to minimise disruption.